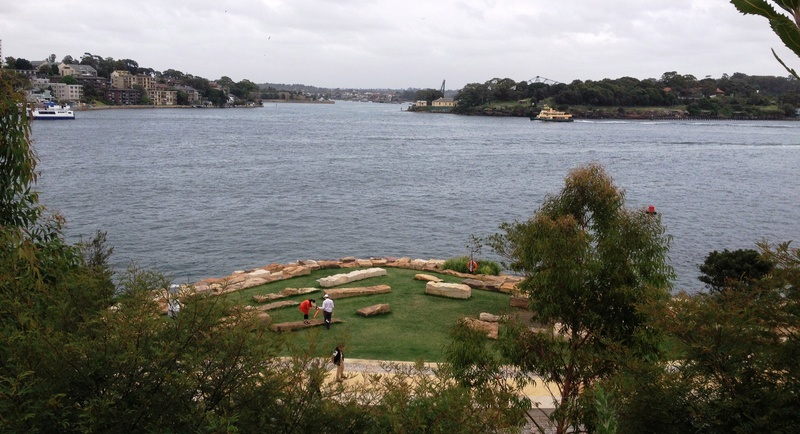 You'd have to be living under a rock to not have heard about the newest and most exciting park to open in Sydney recently - Barangaroo Reserve - which officially opened in September. 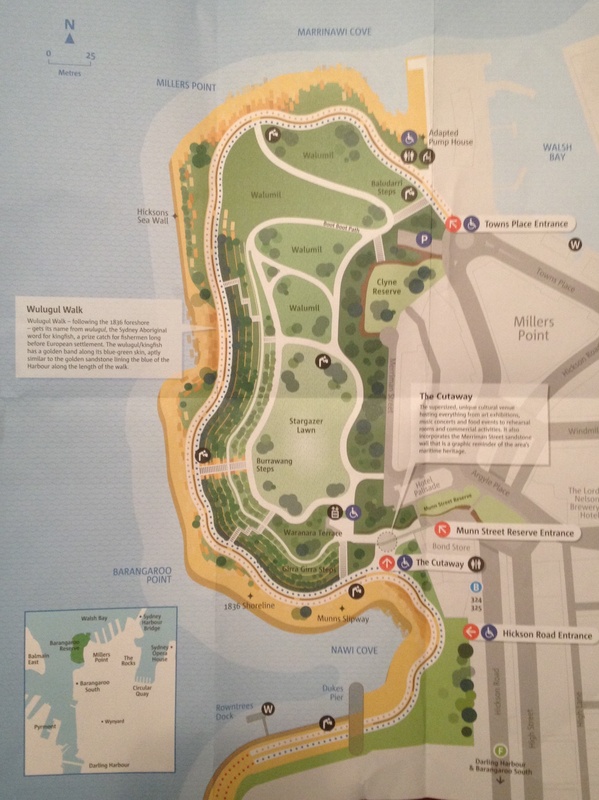 This six hectare park, located right on the Sydney Harbour waterfront, is big news! After hearing so much about its development for so long we couldn't wait to explore it for ourselves. I am pleased to report that we were really impressed. First of all it looks fantastic with the abundant use of sandstone and lush terraced gardens. There is not simply one path to walk around, but multiple paths to choose from. 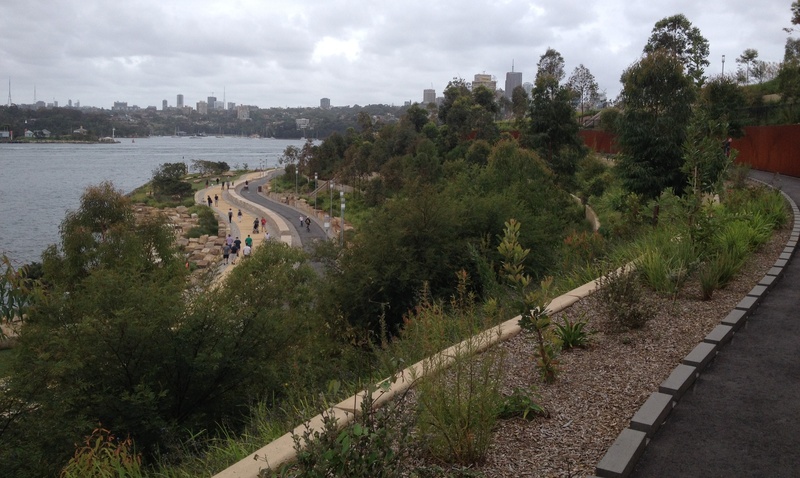 At the waterfront level you will find the Wulugul Walk, which follows the reclaimed shoreline from the year 1836. 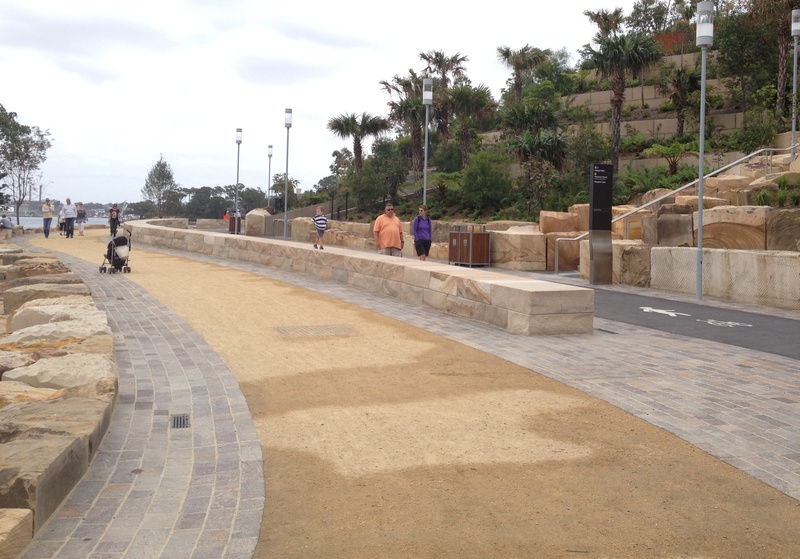 There is a walking path taking you right around the headland with many grassed alcoves along the way. On the same level as the Wulugul Walk there is a shared use path right beside it. 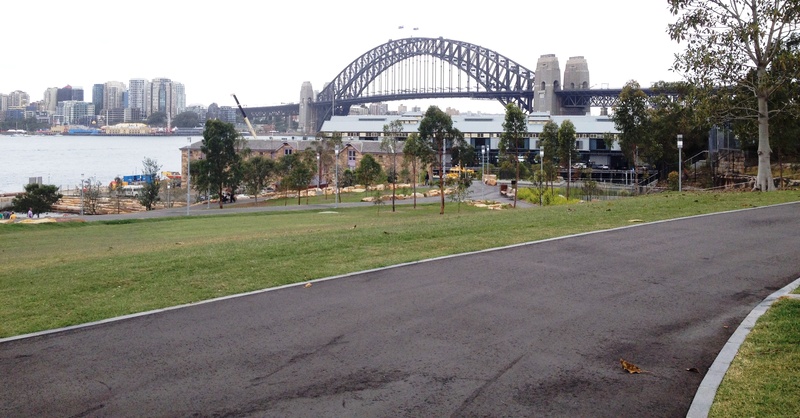 This bitumen path is great for cyclists, joggers, roller bladers & scooter riders. Above the terraced gardens there is another walking path with a higher vantage point giving you great views across the harbour. This path joins up with the Boot Boot Path and will lead you up to the Walumil and Stargazer Lawn. There are also steps at regular intervals taking you from the foreshore, to the middle terrace and then up to the reserve. 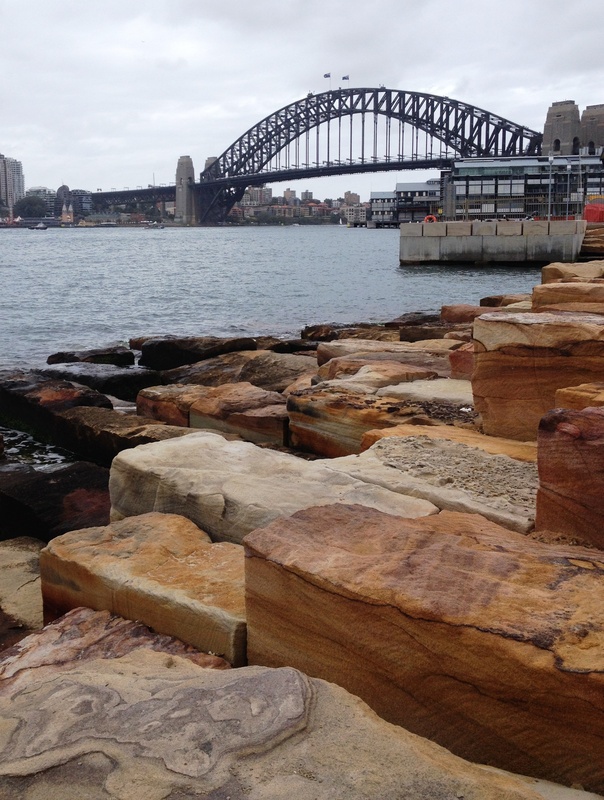 At the tip of the headland you can view the Sydney Harbour Bridge. 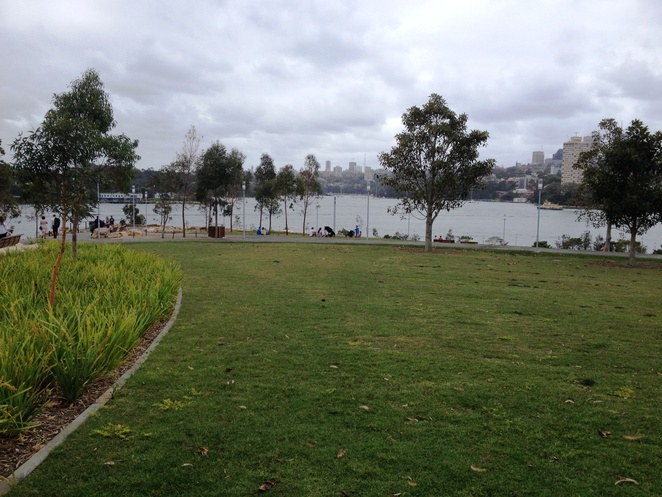 I love how the harbour is not fenced off at this park the way it is near the Opera House and Botanic Gardens. At Barangaroo Reserve you can access the harbour, walk right down to the water, and even sit on one of the oversized sandstone blocks. Above the terraced gardens you will find the Stargazer Lawn, a large grassed area which slopes gradually down the bluff, until it reaches the gently lapping water of the harbour. With its uninterrupted views of the harbour and the bridge I expect that this grassed area is going to be hugely popular on New Years Eve. The gardens at Barangaroo have been carefully planted with more than 75 000 native trees and shrubs, mostly from the Sydney region. 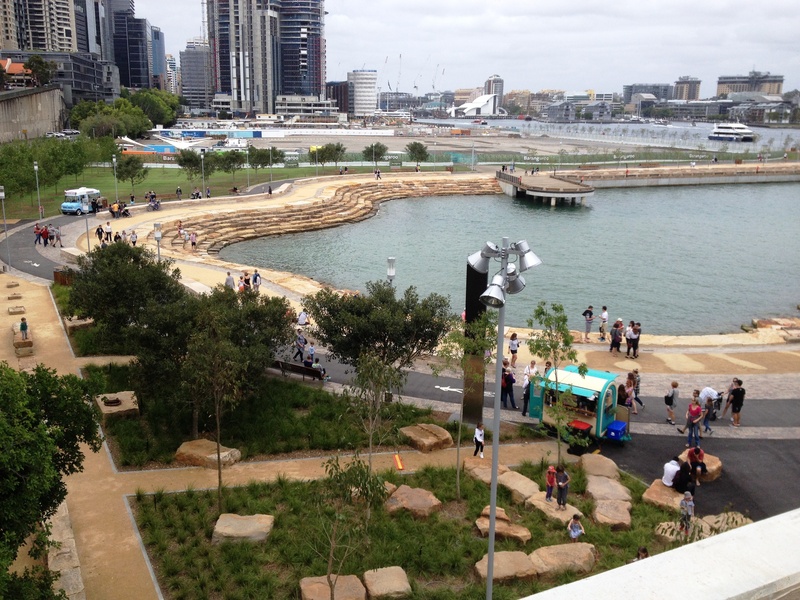 There are also many areas where you can sit and enjoy those gorgeous harbour views. Even on an overcast day the views were still fantastic. 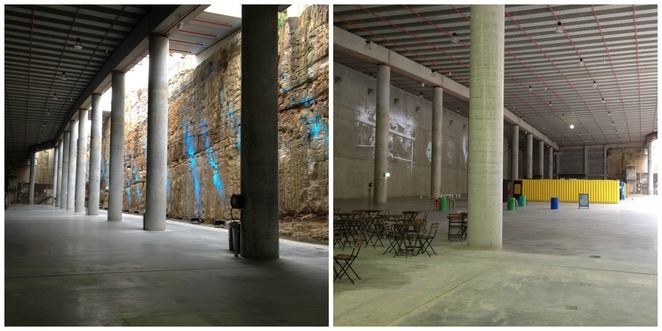 Underneath the hill at Barangaroo you will find The Cutaway, a massive space which will be used to host events, exhibitions and commercial activities. Said to be as long as the Sydney Cricket Ground, as wide as an Olympic swimming pool and 6 storeys tall, it is an impressive area to view. The space incorporates the stunning Merriman Street sandstone wall which is a reminder of the area's maritime heritage. You will also find toilets, a parents room and a lift at the entrance to The Cutaway. There are numerous entrances and exits to the Barangaroo Reserve - from Darling Harbour, Hickson Road, Munn Street Reserve, Merriman Street and Towns Place. The closest train stations are Circular Quay and Wynyard. The newly created harbour headland at Barangaroo is an attractive reserve in which to walk, ride a bike or scooter or to spend a lazy Sunday. There was a coffee van and a couple of food vans there when we visited. 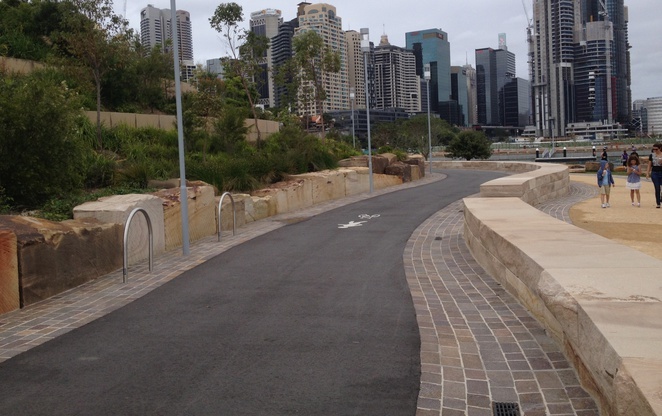 You can also check this website to find out about upcoming events at Barangaroo Reserve. It is certainly a treat to have this part of the harbour waterfront returned to the public for the first time in more than 100 years . Question: How much shelter is there along the route(s) and is the surface on ALL aspects of the walk(s) wheelchair safe? This is definitely on my to do list for the Xmas holidays. I'm sure it will be a popular walk for years to come. We reently walked from Wynyard to Circular Quay, under the "bridge". Wish we had seen your site earlier. Could you estimate the distance of each walk?